We have a special announcement from the Children's Miracle Network and their $100,000 Miracle Drawing. 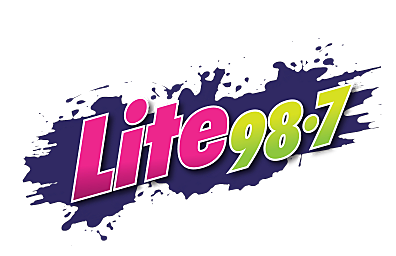 Andrea Macdiarmid, the Children's Miracle Network Coordinator, stopped by our Lite 98.7 studios to tell us about a special event that's going on this Friday, June 30th at Holland Farms Bakery. She tells us they're going to be selling tickets for their Miracle Drawing from 6am to 1pm. So make sure you stop by Holland Farms (50 Oriskany Blvd. in Yorkville) on Friday, and pick up your coffee for the day, maybe a treat for yourself later (half moon cookie, anyone? ), and get your tickets for the $100,000 Miracle Drawing. Now, only 4,300 tickets get sold. One lucky winner gets the $100,000. But there are also eight bonus prize packages that are up for grabs. Andrea tells us a little bit about the other prizes in the video (at the top of this page). Tickets are $100 each and must be paid in cash. Don't wait to get your tickets though, they sell out every year. The drawing will be held on Wednesday, October 11, 2017 at 7pm at the St. Luke's Campus in New Hartford. If you have any questions, you can call the Foundation at: (315) 624-5600.